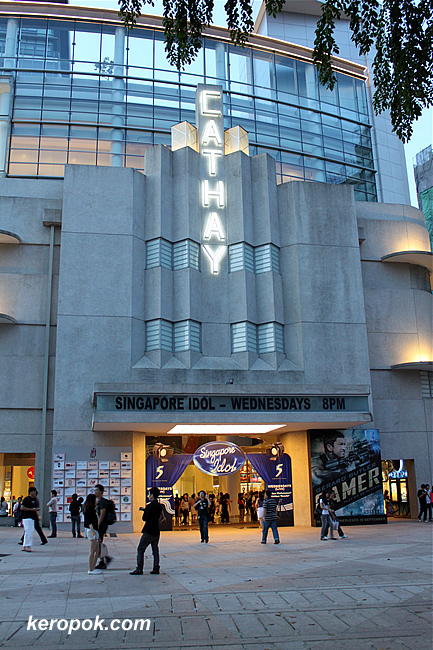 I caught a movie at Cathay last week and saw that the entrance is 'tagged' with Singapore Idol. I just realise there's going to be a Meet the Top 24 Up Close and Personal here at The Cathay this Saturday at 2pm. But sometimes we do 'entertain' ourselves with the good and bad singing on TV. By the way, do you know you can watch Singapore Idol on Mobtv for free?